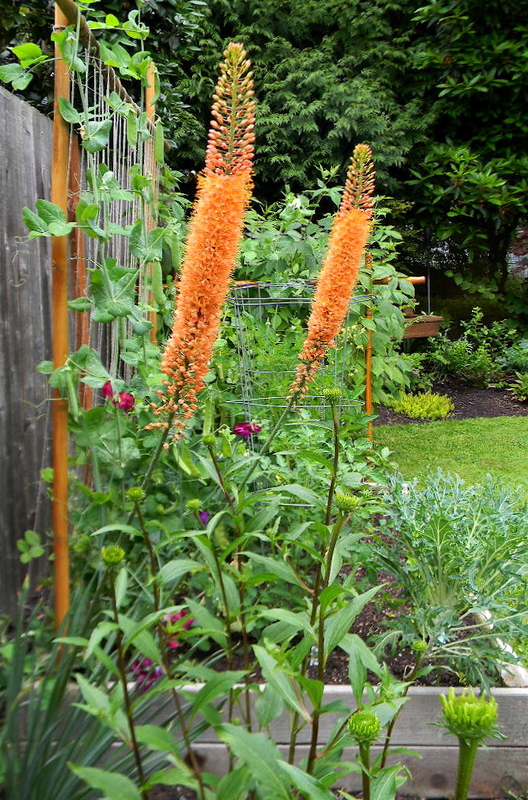 Black Swan Garden Design: Foxtail Lilies, How I Love You! 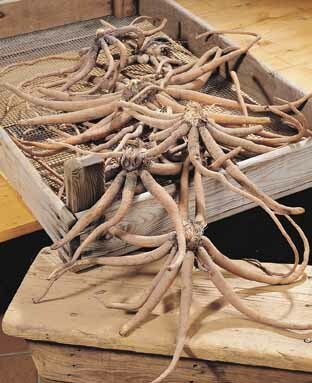 Eremurus are one of those seldom seen plants in local nurseries. They're never on a sales table for long, since the bloom photos are so enchanting. They're available in fall as packaged "bulbs" and again in spring as 1-gallon starts, but they're a little spendy, so it was several years of coveting before I finally bought a couple. I'm not one for fall-planting bareroot in my yard, I like to plant starts so I know what I'm getting. Some assumptions of their appearance and preferred environment can be made from the common names Foxtail Lily and Desert Candle. The bloom time is relatively short, but so beautiful you will cry (if you already have that tendency) when you see them open for the first time. When provided a warm, well-drained location with ample light, they will reward you with tall stems of fat, bottlebrush spikes that multiply as the plants age and grow. They're perennials, so you'll have them for many seasons. The flowers come in a variety of colors: white, pink, pastel orange (creamsicle), yellow, and more? 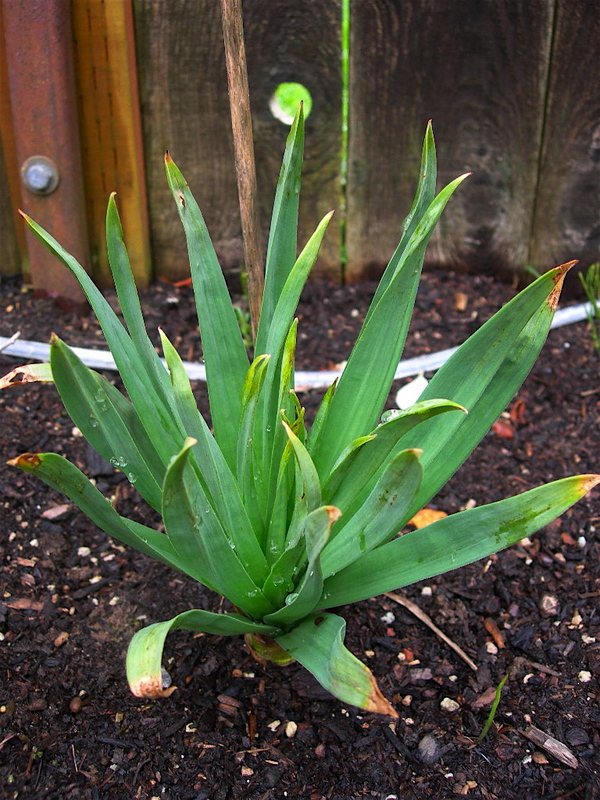 I'm growing the cultivar 'Cleopatra', with low-growing rosettes of spear-like foliage that emerged a soft grey-green, turning to blue-grey, with stems 12 - 18" tall. 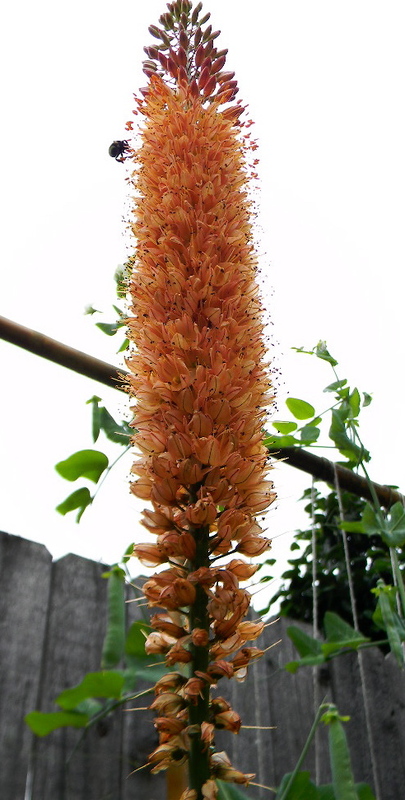 The flower spikes are several feet tall, so that the tops of the spikes are at eye-level when I'm standing next to them. So beautiful! And bumblebees looooove them. If you can give them what they need but you don't see them around, try mail order. I've even seen them for sale on e-bay. Weird.